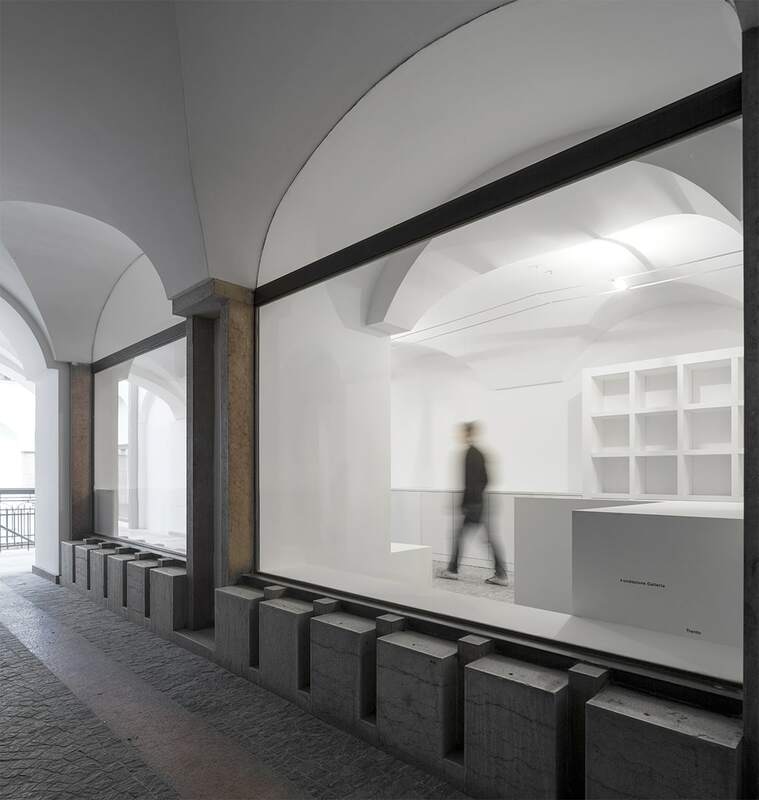 The Civic Gallery of Trento is a new exhibition space of the Museum of Modern and Contemporary Art of Trento and Rovereto. 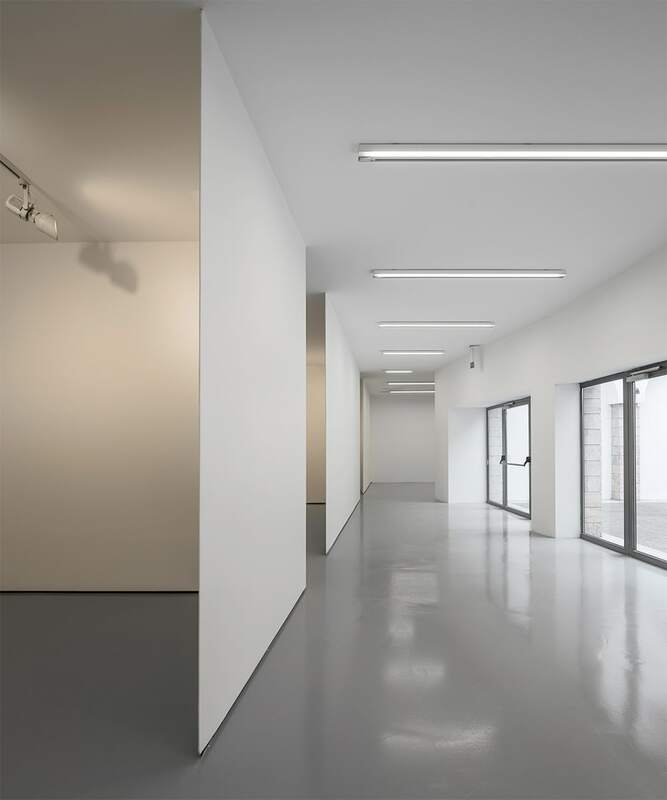 The main concept is a structured and flexible space that offers different backgrounds and ambiances to the artists for their exhibitions. 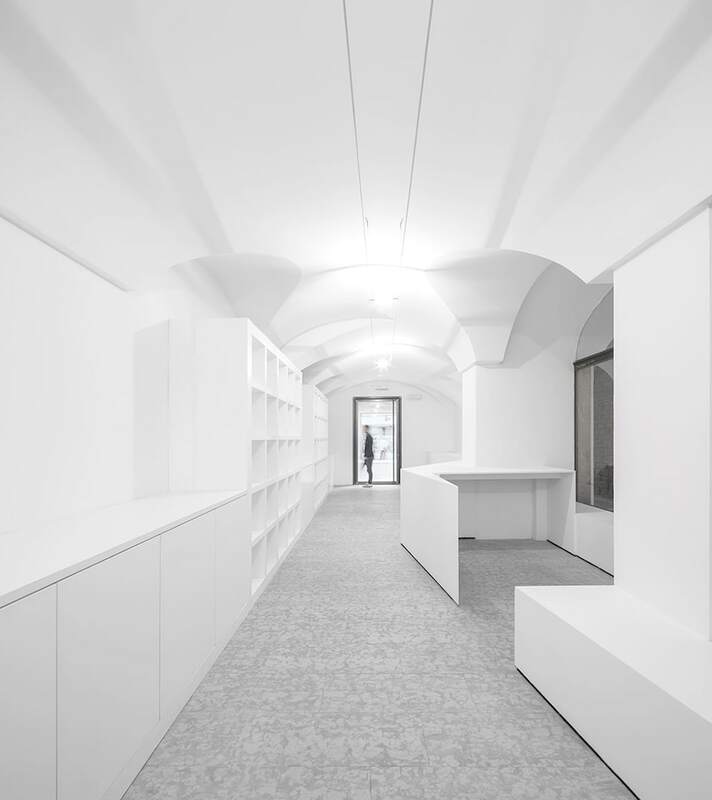 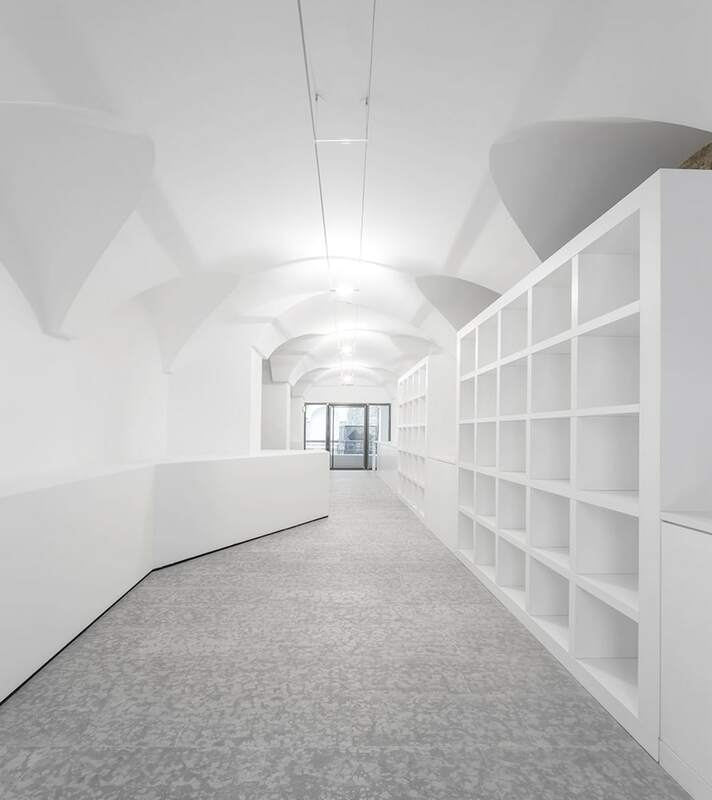 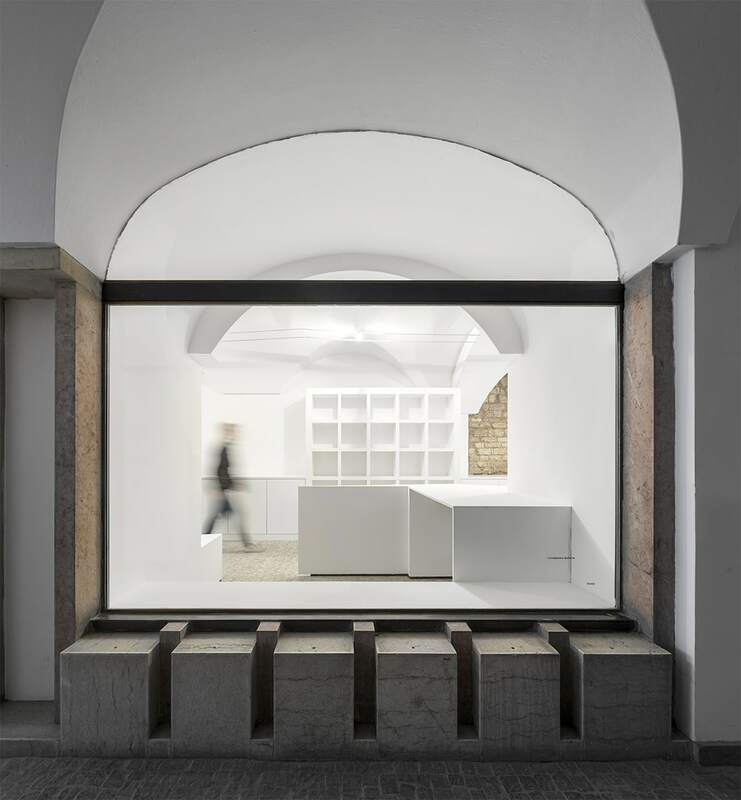 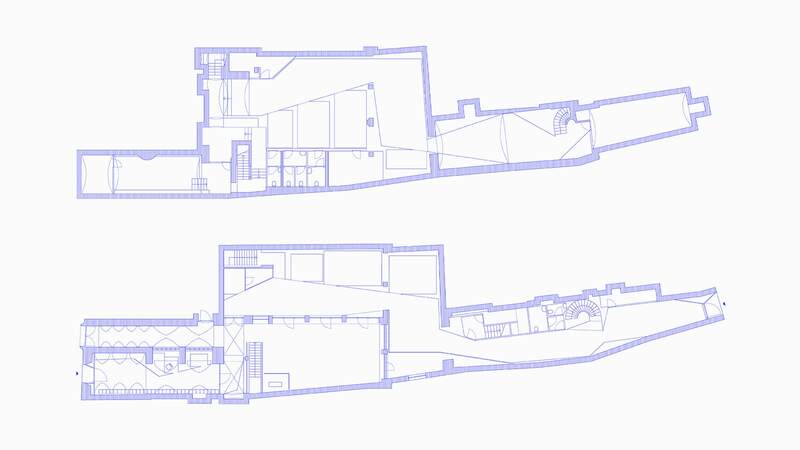 The contrast between open spaces and separated, closed room, together with the variation of the lightining types, involves users through different spatial emotions. 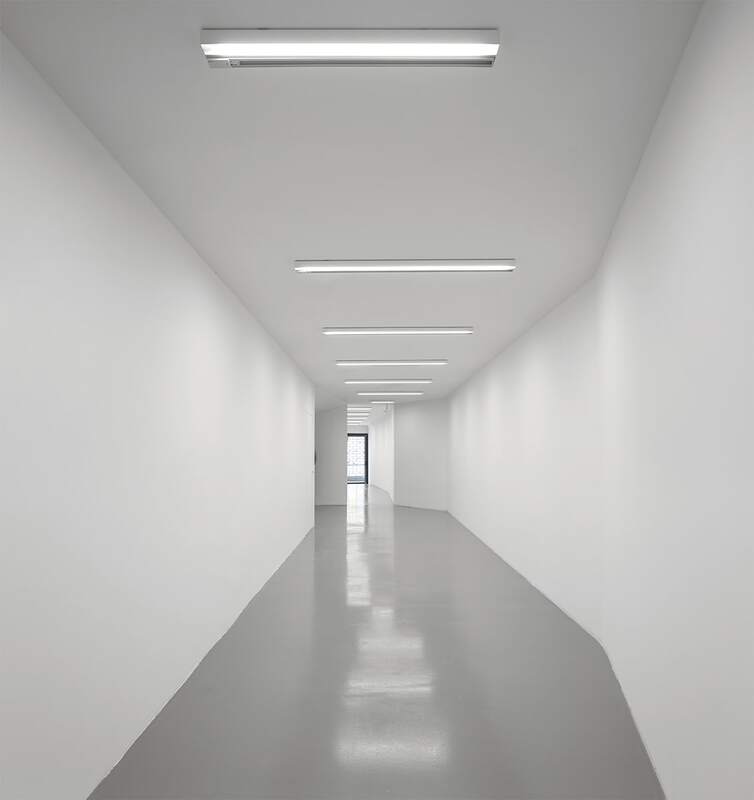 The use of neutral colors and materials emphasizes light effects and ensures an optimum setting for any installation. 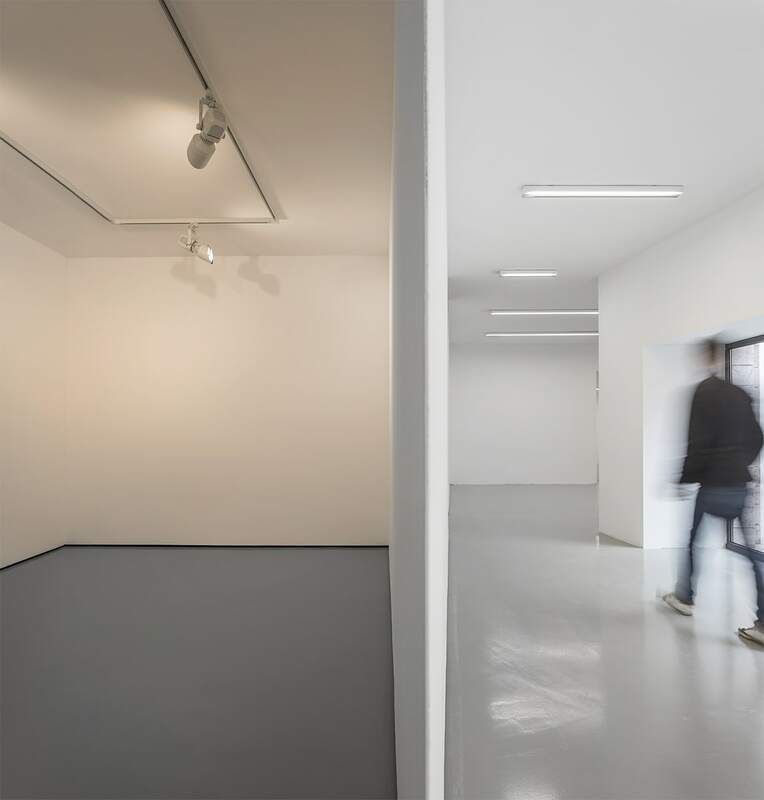 In addition to this new concept for the exhibition areas, the redesign of the entrance from the street also offers a new image for the gallery: the funnel-shaped entrance is used to embrace people from the outside, addressing them towards the exhibition spaces inside.